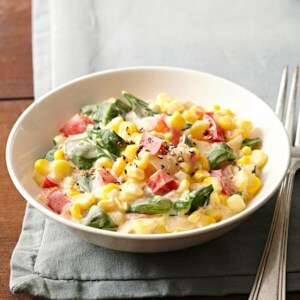 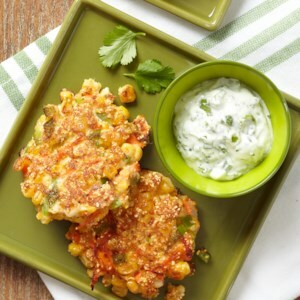 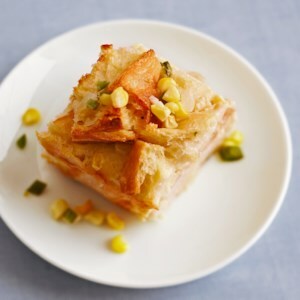 Find healthy, delicious corn side dish recipes including creamed corn, corn salsa, casseroles and corn pudding Healthier recipes, from the food and nutrition experts at EatingWell. 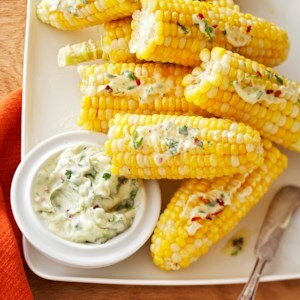 A dash of crushed red pepper adds the perfect amount of spice to this flavorful cilantro-lime corn on the cob. 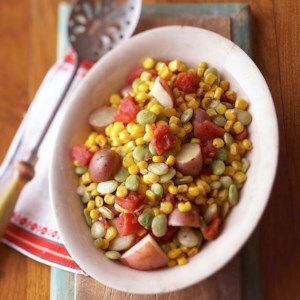 Succotash is a traditional Southern dish made with corn and lima beans. 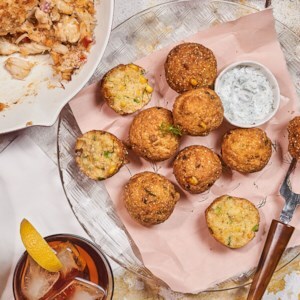 This slow-cooker recipe also uses potatoes, chicken, and spices to add delicious flavor. 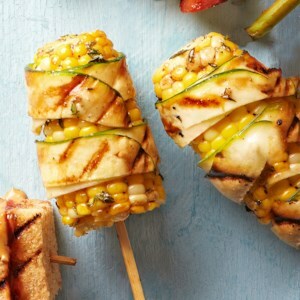 Try this fun honey-mustard zucchini-wrapped corn on the cob side dish at your next barbeque. 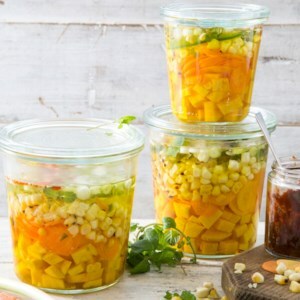 Soaking the corn in its husk in water for up to two hours before grilling is definitely a new approach to cooking corn on the cob, but give it a try! 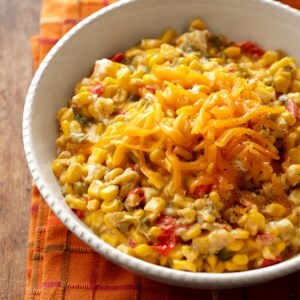 The addition of salt, spices and cheese takes this side dish to new levels. 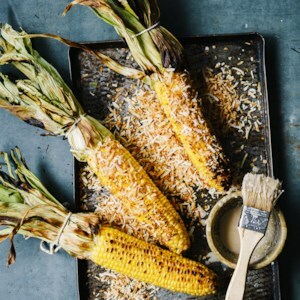 Serve this simple vegetarian side dish warm or room temperature alongside grilled meats and a stacked summer salad. 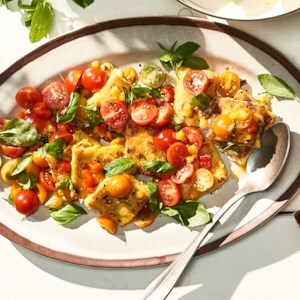 A flash under the broiler leaves these slices of corn-studded polenta golden on the outside and soft on the inside; an herby, smoky tomato-pepper salad acts like a salsa to be spooned over the top. 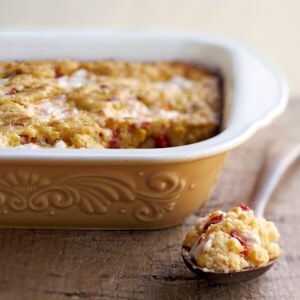 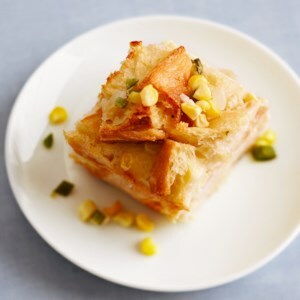 If a holiday meal at your house isn't complete without a corn casserole, try this calorie-trimmed version. 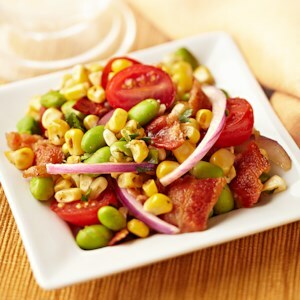 It's delicious and will help keep your meal plan on track. 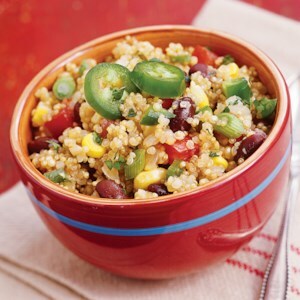 Quinoa pilaf is combined with zesty black bean corn salsa to create a healthy side dish full of fresh flavor. 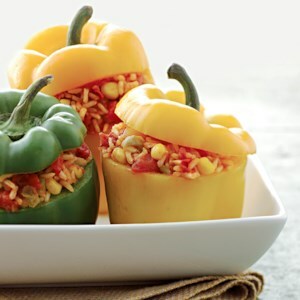 This whole grain recipe version of Spanish rice is served in a sweet pepper but could be served in a bowl as a side dish. 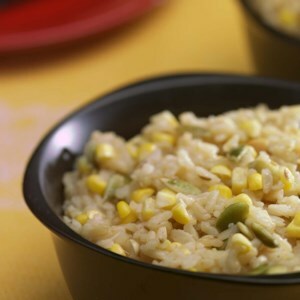 It goes well with chicken or pork. 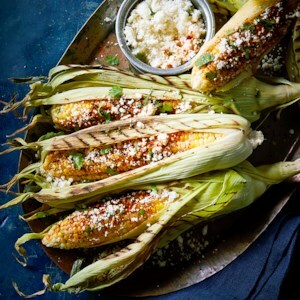 This flavorful corn couldn't be easier to prepare. 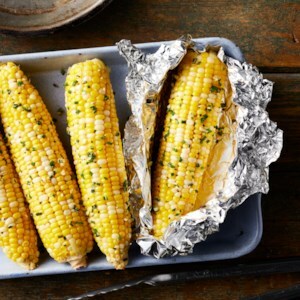 Just cover the ears of corn in a quick garlic-and-chive-flavored butter and wrap in foil and they're ready to throw on the grill at home or over coals at the campsite. 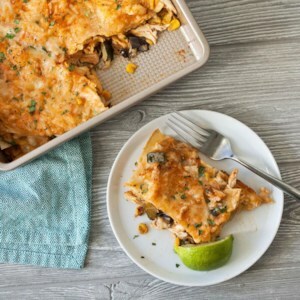 Summer's harvest--eggplant, corn and zucchini--stars in this healthy, Mexican-inspired casserole that's perfect for serving a crowd or for a dinner with leftovers for the next day.